You have plenty of news sources — but where do you go for reports of God’s powerful action around the world? Welcome to the front lines of global missions. 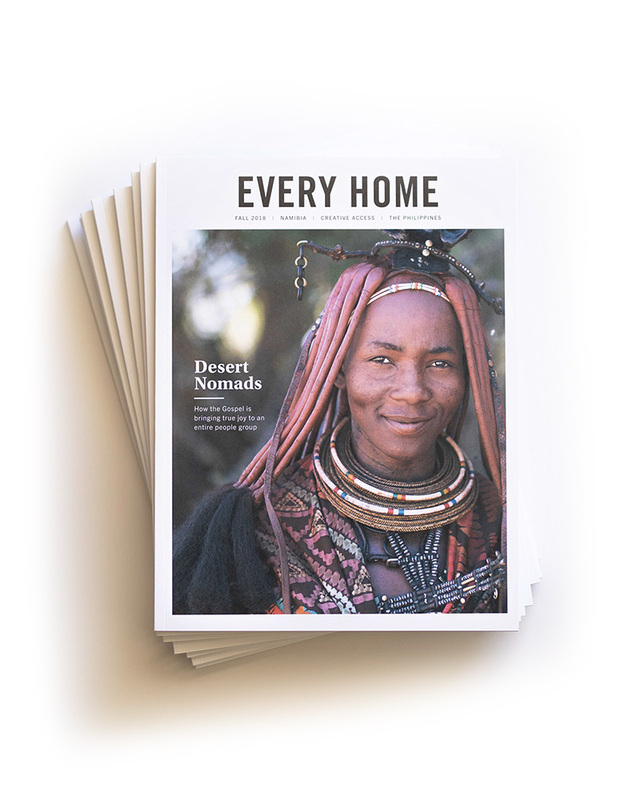 Every Home reports on the expansion of the Gospel around the world, with inspiring, informative journalism. In this beautifully bound quarterly journal, you’ll find stories of the Kingdom’s advance — from the Philippines to Namibia, Argentina to the Middle East. There’s a different story playing out in the world than the one you’ve seen in your newsfeed. It’s time you hear about it.